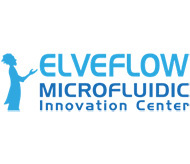 Elveflow® focuses on the development of high performance and Plug and Play flow control systems fitted to microfluidic research. We provide the only microfluidic flow control systems using Piezo technology and that enable blazing fast flow changes in your microdevice. Depending on your particular needs, we can advise you and install the setup best fitted for your academic lab or research department.